Luckily there was a large built in wardrobe in this spare room. There’s shelves on the other side of the room too, and lots of natural light through the window. 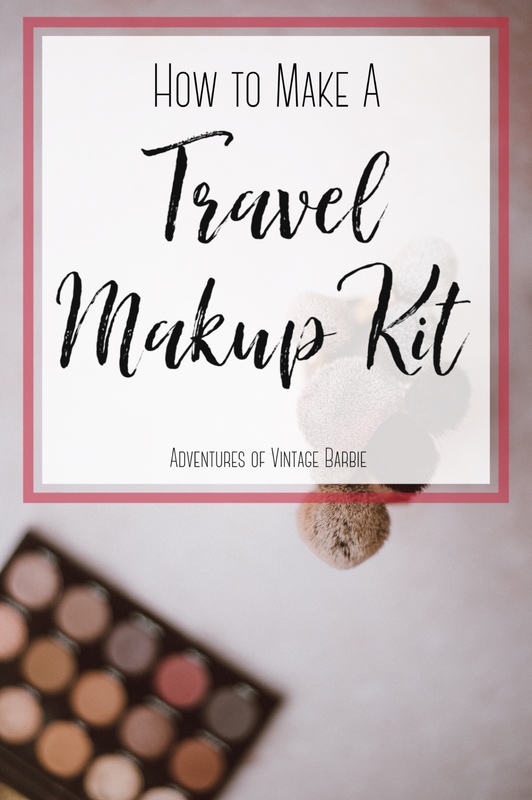 I’ve also got a bookshelves for my heels, a smaller bookshelves for my small handbags and clutches, and a desk for my dressing table. 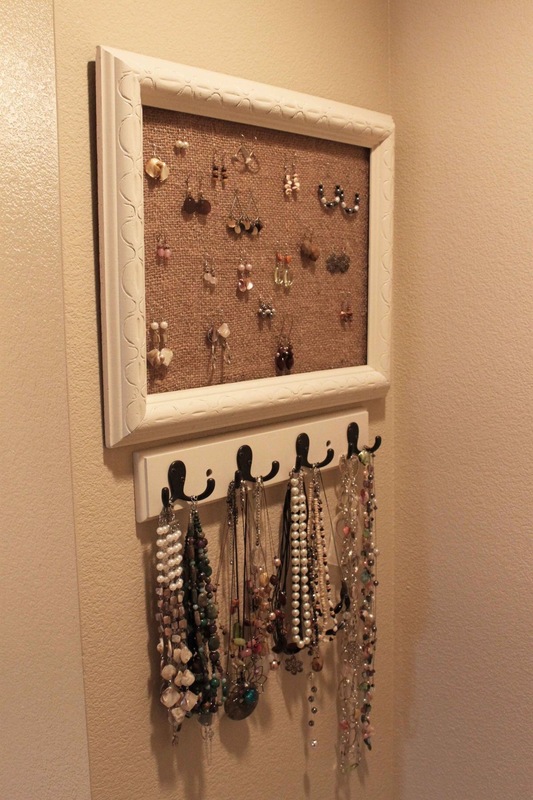 I particularly liked the idea of a cork board or some kind of display where you can see all of yr favourite pieces. But I couldn’t find anything that worked for me. So I decided to make my own display. I used to have a full length mirrored jewellery stand, but unfortunately it was faulty and eventually fell apart. The stand went to the rubbish tip, but I kept the earring holder part because I knew I cod come up with a creative earring holder solution. 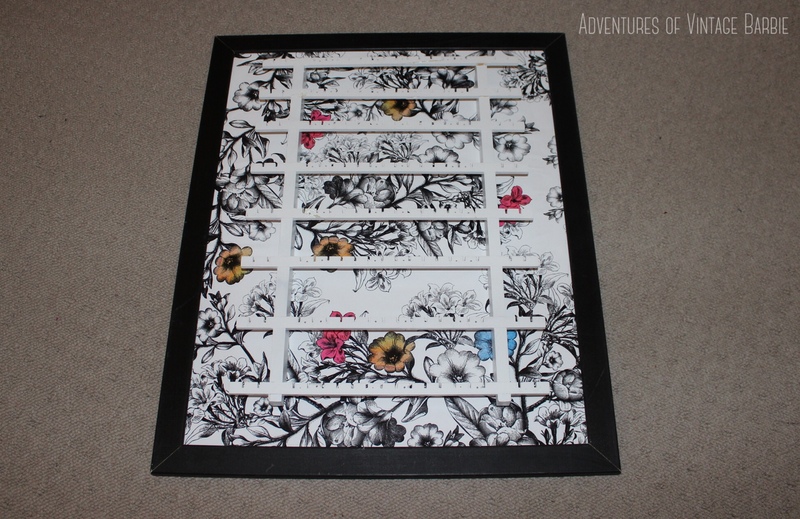 I took a large photo frame of approximately 40cm by 60cm and took lined the backing with some funky floral wrapping paper. I cut the paper so it would fit the frame. I made sure I glued down the paper so it looked smooth and had a polished look. 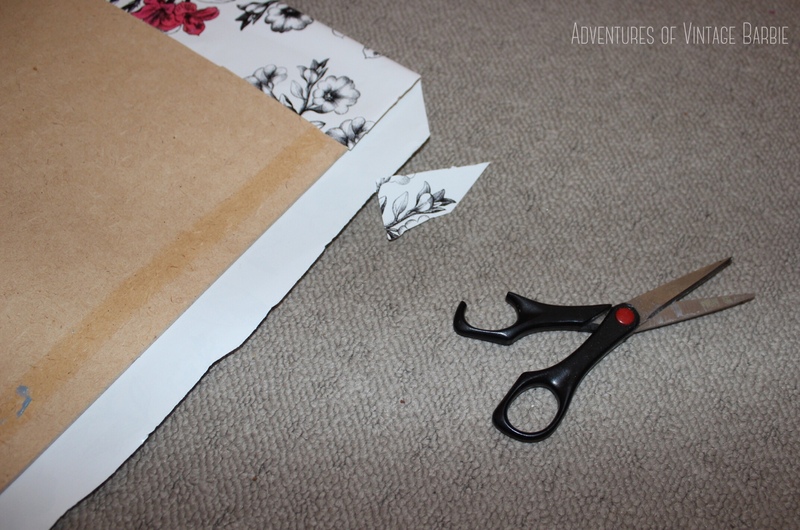 I then used the white wooden part of the display and fixed it to the paper with a hot glue gun. 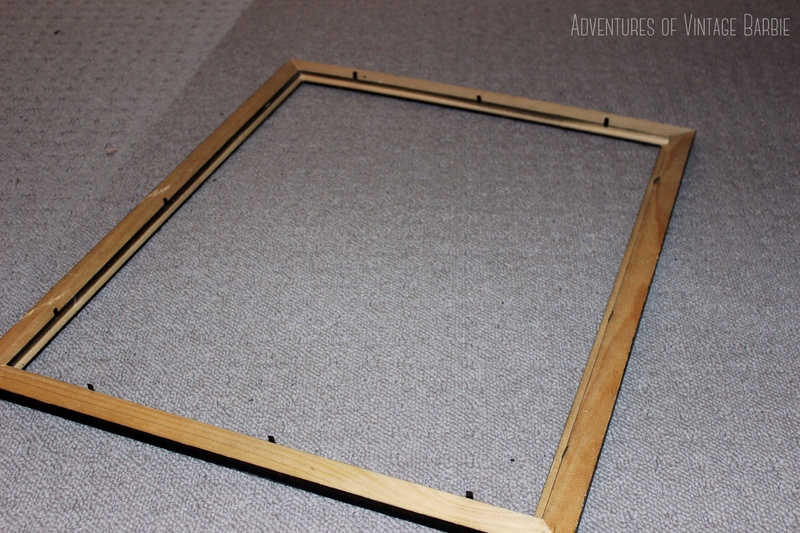 I secured the backing into place on the frame and there you have a fabulous earring display. I think it looks great and it matches the feel in my wardrobe room. I like that it’s a little bit modern but still a little bit vintage. 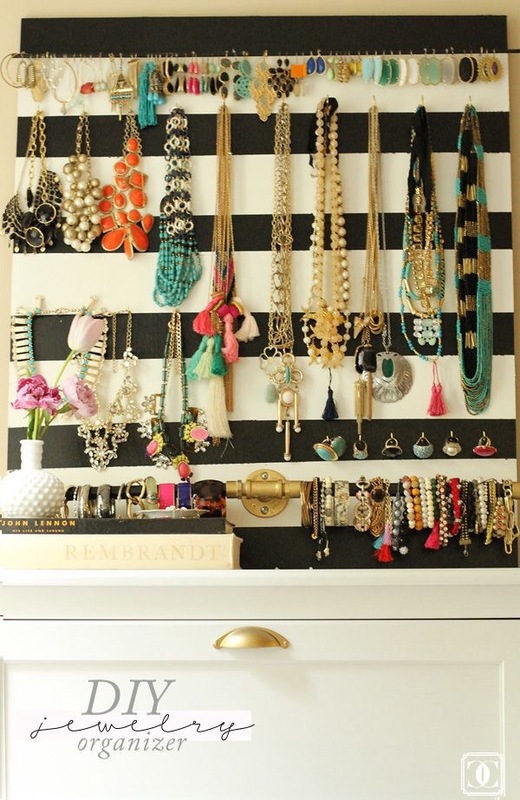 This is the theme I’m hoping to achieve with my wardrobe room, so this display is just what I’m after! Then it was time to put my earrings on display… I made sure I arranged the earrings so they were near similar coloured of styled items. This gives the display a shop like appearance. 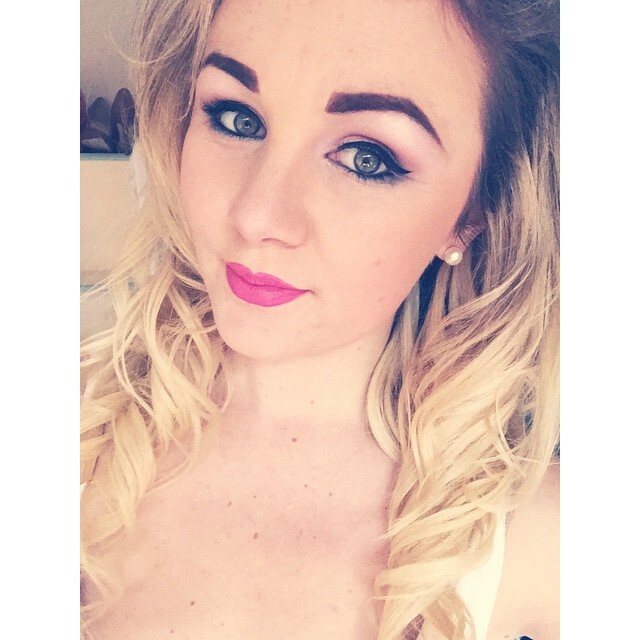 It also makes it easier on the eye therefore easier to co-ordinate with outfits, and easier to see what you actually have. 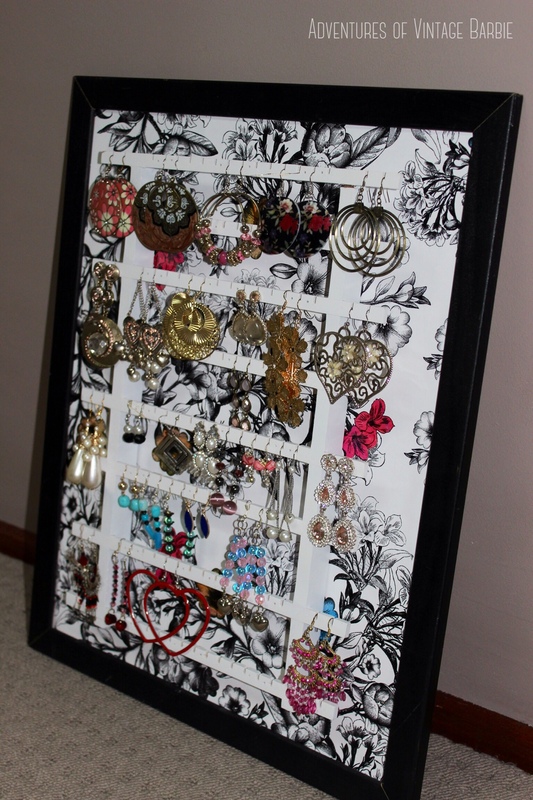 This earring display was super easy to make, and I love how it fashionably organises my earrings. I am hoping to hang it up on the wall, but I am undecided on where it should go. For now it is sitting on my dressing table. 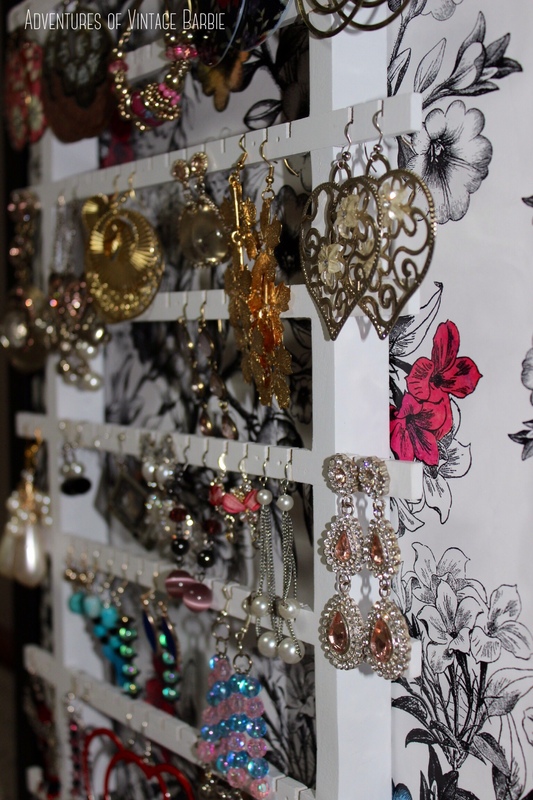 Do you have any tips or tricks for organising you earrings or jewellery? 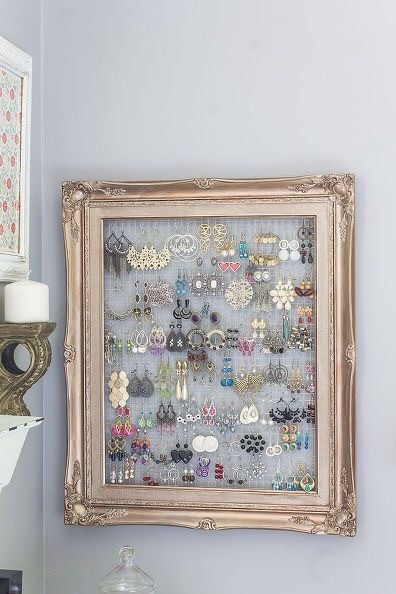 Or do you have a DIY jewellery display? 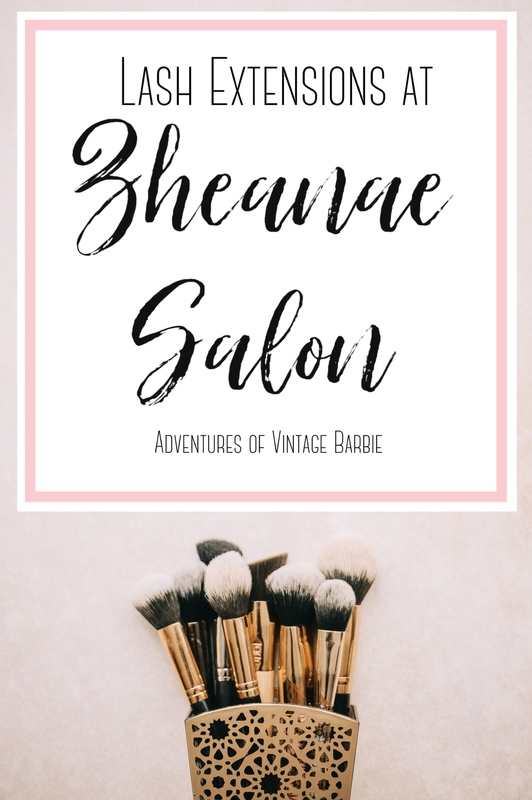 Share your tips, tricks or links to your own work in the comments!